Amir was super responsive and friendly. Car was zippy and just what we need for the weekend! 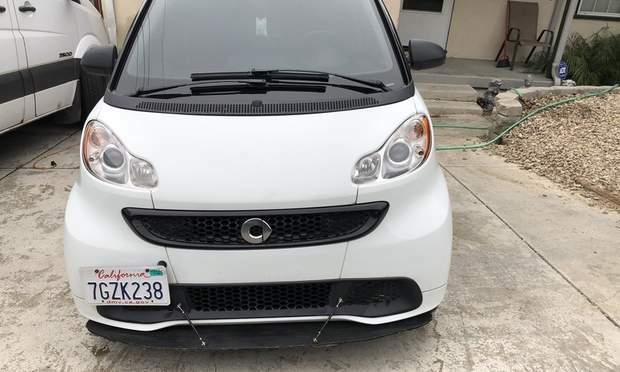 Would definitely recommend to other Turo renters! Nice wheels and a fun ride. Will definitely rent again. Very quick to communicate with. Car was just as pictured and very clean. We had a slight miscommunication and Rady was very generous and accommodating to make sure everything worked out. Thank you so much for being flexible responsive and kind in sharing your car with me. The car was fun kept kids entertained and started conversations with strangers. Much appreciated. Really nice car, just a little gem! The brake pedal is pretty heavy. I rented Amir's car on short notice and everything was as expected. Amir was really nice, accommodating and easygoing. He explained everything very well and made the experience painless. The car was fun to drive. Took Amir's chariot for a day to complete set errands. Not the biggest car ( as expected) but it was super easy to park and get around town. Highly recommended if you wanna get some stuff done in a car that's easy on gas and easy to drive. A+ would rent from Amir again. We requested this car last minute and it worked out great. Perfect for a day trip in the Bay! Amir is personable and I look forward to renting this beauty again. This ride was so convenient and smooth for driving around the city. Great mileage, plus the drop top was an added bonus which made my experience particularly enjoyable. Amir was also a great host and would certainly rent from him again! Great easy rental. Super responsive to when we extended the trip. 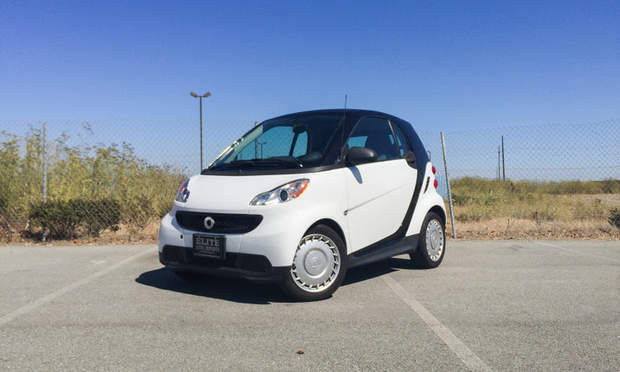 Smart cars are hilariously tiny but great to zip around town in and can’t be the miles per gallon. Really easy pick up and drop off - both people were lovely!! Amir got back to me right away and made it super easy for me to pick up the car. He was pretty flexible and understanding as life happened. 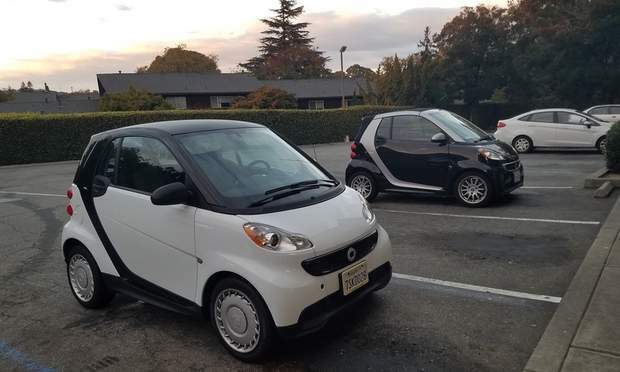 My first time in a smart car, I'd rent it again! Was a great car! Easy to park, fuel friendly, clean car. Very friendly and flexible host! The best!!! First choice every time. I’ll always rent from them moving forward. Amir was great to rent from - super courteous, available, and flexible! Would definitely rent from him again. 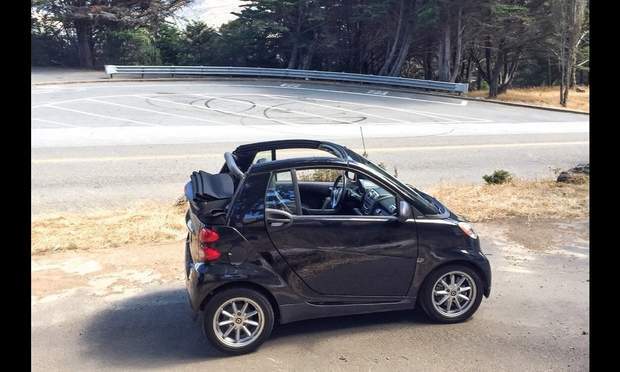 The convertible smart car was a fun ride! Always enjoy renting from Amir! Very friendly and fast communication. 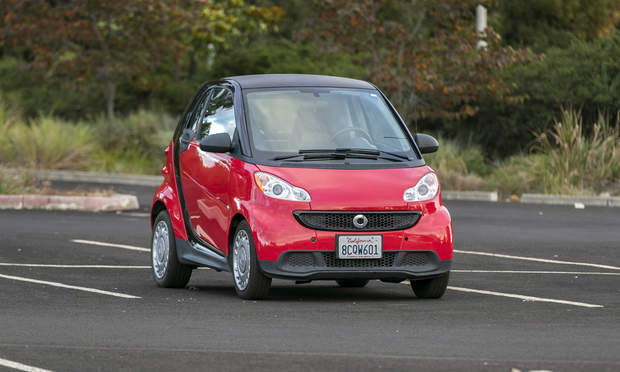 The convertible smart cars are a fun drive. The car is really cute and the owner is really nice. The car is really gas saving, I only charge 4 times gas during the trip, from Bay Area to LA. 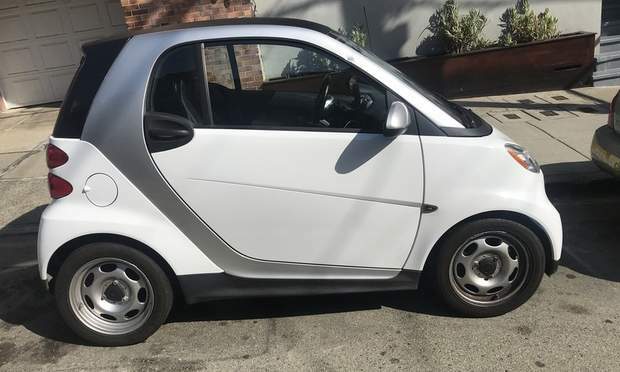 The car is small and easy parking. I would like to rent again. Very useful for the little trip we did around SF and Amir was very friendly ! Edgard was very accommodating and flexible. He communicated clearly. The car itself was very clean and worked well. I would definitely rent this car again. This was my first experience with Turo, and I will absolutely do it again! I chose to rent from Amir because he had the perfect size car for my needs and his reviews were all wonderful. He made himself available for any questions I might have and he's so friendly. Next time I'm in the Bay Area I'll be checking to see if he has anything available! Amir is a great car owner and made the Turo process seamless and smooth. 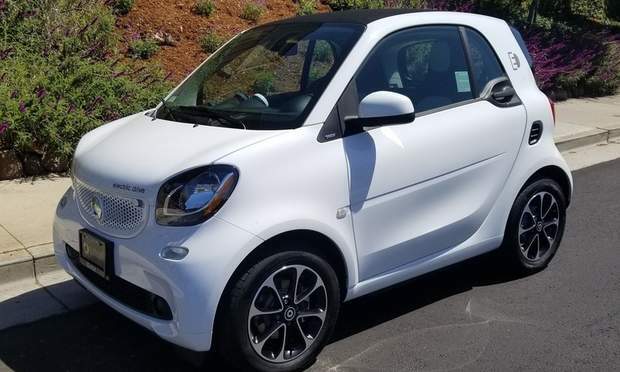 The little smartcar was fun to drive and I had a great time! 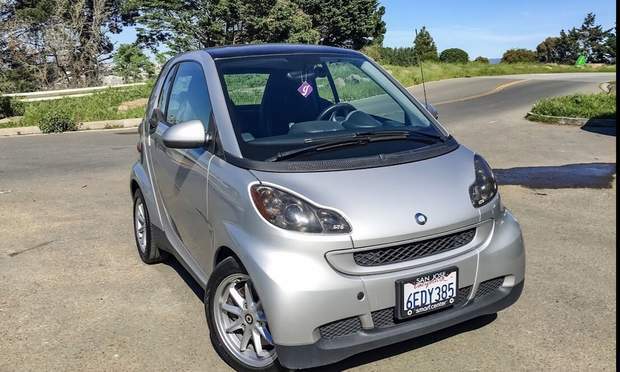 This is a great little car and was perfect for a weekend trip for myself and my friend. Amir was responsive and helpful. Would definitely rent from him again. Amir was very nice and flexible: he provided an extra battery for my phone and showed me how to use all the options on the car. 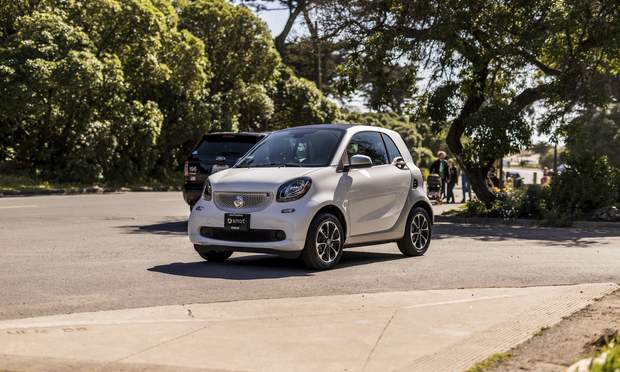 The Smart is really fun to drive and convenient to park! We had a great time! Amir was always quick to respond and communicated efficiently. The car was easy to find and easy to drive. Nice extra features. Would rent from again. Amazing! Amir was super friendly and his car was clean and perfect for our trip. We had a great time driving along the coast with the top down. Would rent again! Amir was really flexible and easy to communicate with, a big plus. Eidref was great. He was communicative and accommodating. 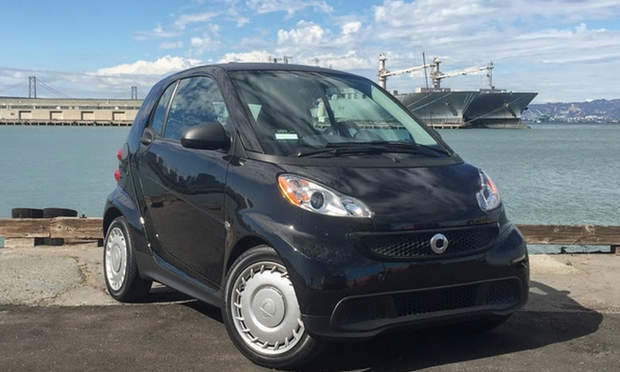 The little car was fun to drive and amazingly easy to find parking for, which is not an easy task in Oakland! Amazing ride! Can't wait to rent this car again! Had a fun time driving Amir’s car! Would definitely rent again :) thanks for making everything so easy! Great rental experience! Cool car and flexible renter made everything a breeze. Will definitely rent from Amir again! 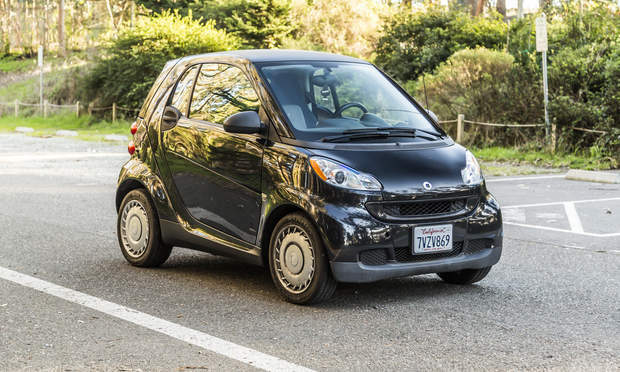 We had a great trip with Amir's smart car. Amir was very friendly and we had no problems with communicating. We also appreciated his flexibility. The smart car took a little getting used to driving since I had never driven one before, but I really appreciated how convenient it was to park and also how long we could drive before having to fill up the tank! I'm sure we will use this car again. 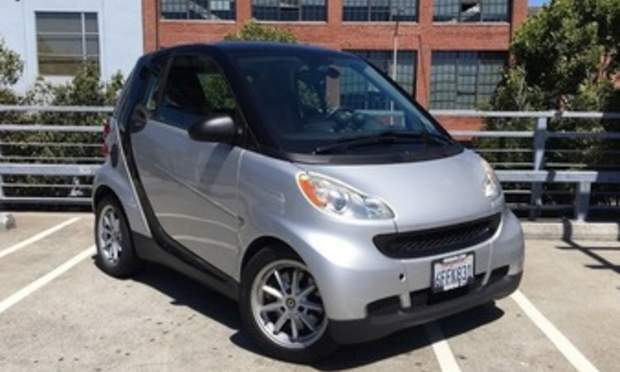 Amir’s Smart Fortwo is a great choice for anywhere around the Bay Area. I had no issues with the car at all. Amir was also flexible with the time when I was running late. Highly recommend. Amir was so kind and helpful, and driving in the little Smart car was a blast! 10/10 would drive again! For being my first experience this was awesome. Easy pick up and quick drop off. Car was easy to use and the drop top feature was fun to play with as well. Amir was super nice and we had a really great time in Yosemite with his smart car! This experience couldn't have been any better! I would highly recommend renting a vehicle from Amir to anyone. The car is also super fun :D.
This car is GREAT for parking. Amir was awesome and prompt and had a fast track available. Thanks again for keeping it all so well priced and uncomplicated Amir! What an excellent experience! Amazingly fun car. Highly recommend. Car was spotlesss. Everything worked. Great guy to deal with. Good communication. Car was a fun romp. Polite and easy going! Carlos was great to work with! The car was perfect for our couples trip in Napa/Sonoma! Great shape and ran solid. Amir was very helpful and responsive! Will use again if we are back in the area anytime soon. Great friendly host with an awesome little car ! Will def rent again. Great little car to drive around the Bay Area!Communication and pick up with Amir was easy going! Carlos is incredibly accommodating and communicates very well. 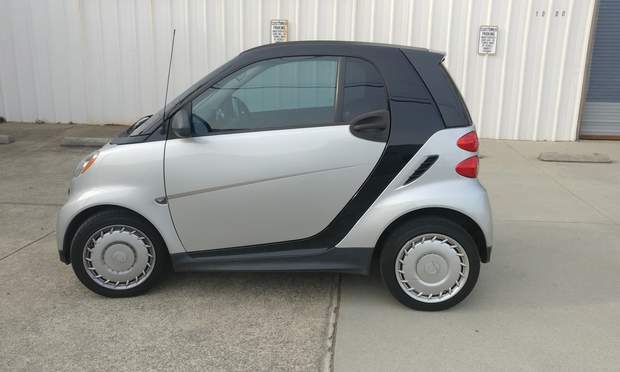 Awesome little car, and nice people to deal with! Was slightly inconvenient for airport pick-up/drop-off, but now I know what to expect. Smooth experience from start to finish, I was running a little late due to traffic returning the car and Amir was very helpful and understanding, which was greatly appreciated! :) I couldn’t have asked for a better host and the car was perfect for my little road trip to Sonoma, Thank you! Nice car and owner! Flexible, kind and the car as cool as expected. Convenient, straightforward transportation. Perfect city car for a week in SF. Super handy when looking for those hard to find parking spaces as it is able to fit where an average car would not. Really good car and Amir is very cool too! Great car that is VERY convenient for parking. Amir is super friendly and flexible and responds to requests quickly. Overall, great experience! It was an awesome pleasure driving Lance’s car and working with him! Amir is consistently great and easy to rent from! Fun little car to dart around in for a very long commute. Amir was very understanding of my misunderstandings and made the entire experience pleasant. Great car for the city. Easy to park and worked perfect for what I needed to get me back and forth while I was visiting San Fran. That was my first Turo experience, and it went great thanks to Amir's flexibility and responsiveness, and of course his amazing car (driving with open roof along the Pacific Ocean was something to remember). I highly recomend Amir and his car! I definitely recommend Amir's car! very easy and flexible timming to pick up and return. Little fuel consumption. Very prompt and responsive in helping me get situated. Will definitely rent from Lance again. Fun car for an afternoon of light shopping around the city. 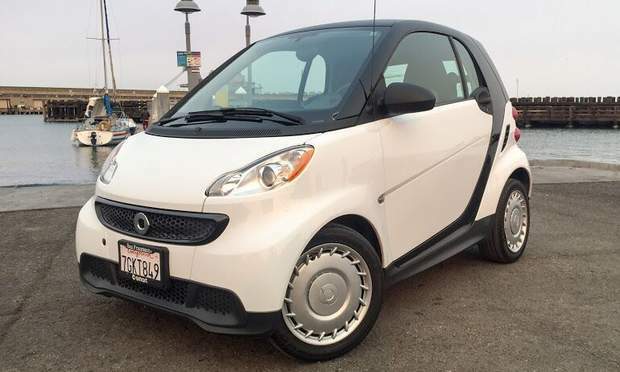 Super easy to drive and fun for sunny days. Amir was so kind and easy to communicate with. His car was perfect for enjoying the coast, easy to park, and great mileage! Amir was very nice and accommodating. Car is clean and exactly how described. Perfect car for a drive in the city where parking is always an issue but not with this car due to its size. As an added bonus it has a drop top for those nice sunny days! Highly recommend! Amir is very responsive and makes the car very comfortable by providing charger, cable and bluetooth connect for us. The car itself is great for short trips, especially in the city because it is so small and easy to park. Definitely recommend!! Amir was great in being both accessible easily and helpful in explaining us about the car and how Turo works. His car is also a nice little one, easy to drive and fun with the roof open! Would definitely recommend him and the car! Almir was great! He was very helpful and understanding... great communication and convenience.... I highly recommended Almir’s car, it was lots of fun to drive! 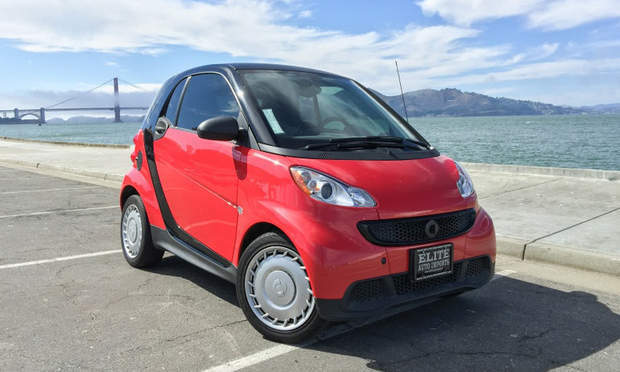 Great car to tour napa and surrounding bay area in! Convertible feature is great as well, along with good working A/C. Amir was kind and very accommodating to our late night pick up. Highly reccomend this car to anyone visiting the area as you can park just about anywhere, and a full tank of gas is only 8 gallons and lasted us more than 300 miles! Always great to rent from Amir. Excellent customer service. Super accommodating, even though I had to pick up and drop off at really early and really late times. Thanks! Amir is a really great guy. Extremely polite and so friendly. This was my first time using Turo and he made it so easy! Amir is a very nice person and made everything smooth. Really easy to work with and flexible with our schedule. This was my first Turo experience and it couldn’t have been better. Thanks for everything, Amir!